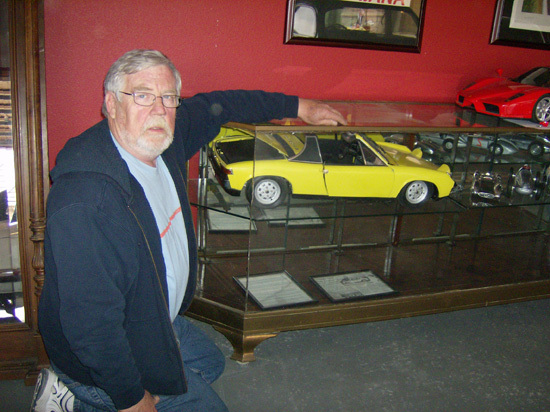 My favorite model has to be the Porsche 914, 1/4 scale model. I’ve been a fan of the 914’s forever and used to race one. My wife still owns one which she races occasionally. I can’t imagine how anyone could spend so much time on a model, it’s that incredible. I believe it has more details and working features than anything else in the toy museum. I will concede that it’s unfortunate the builder didn’t choose a Porsche 911, or a famous Ferrari. If they had, the model would have been priceless.